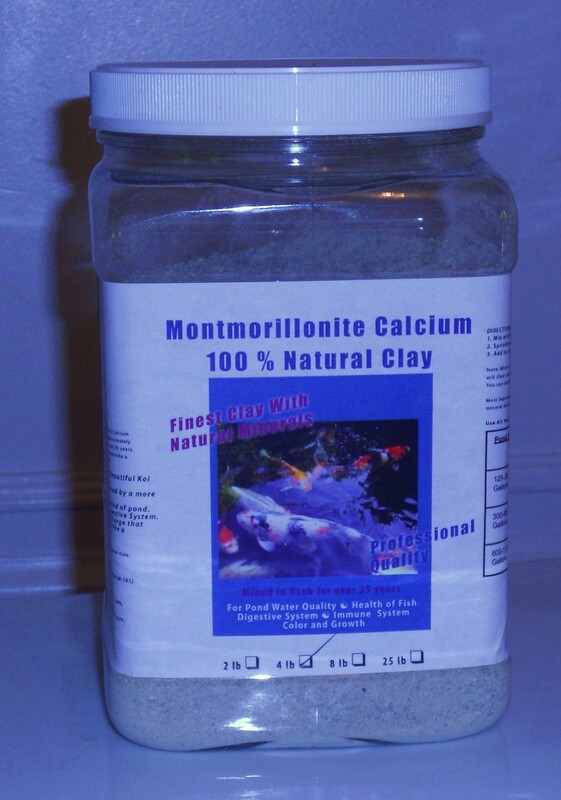 Calcium Montmorillonite Clay has a negative electric charge which will bind the clay particles to positively charged toxins in the water.Calcium Montmorillonite Clay is not only a nutrient source for koi, it will also “polish” your pond water. The clay acts as a natural flocculent and the particles that are bound up are filtered out of the pond. The clay can help make pond water sparkling clean (polishing).